You can’t have enough WildGirls! A new member of the Gary Baseman’s WildGirl family will make her debut at DesignerCon this year. Meet WildGirl Veronica and her ChouChou! Another great collaboration between Gary Baseman and 3DRetro. 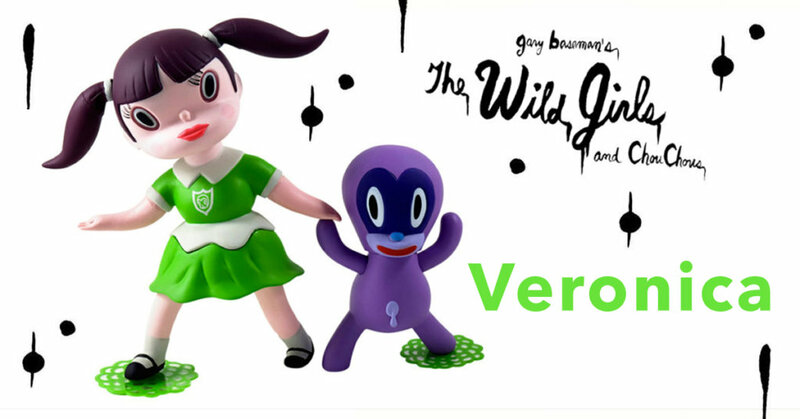 This green and purple colorway of WildGirl Veronica will be available at the Gary Baseman booth 2310. Veronica is the 3rd in the Wildgirl Series, completing the trio with the other WildGirls Beverly & Naomi. For more info on his work go follow Gary Baseman on Facebook and Instagram.